There are no approved vaccines for the dengue virus. Prevention thus depends on control of and protection from the bites of the mosquito that transmits it. The primary method of controlling A. aegypti is by eliminating its habitats. This is done by getting rid of open sources of water, or if this is not possible, by adding insecticides or biological control agents to these areas. Reducing open collections of water through environmental modification is the preferred method of control, given the concerns of negative health effects from insecticides and greater logistical difficulties with control agents. Juice made of papaya and its leaves is considered as one of the best home remedy. Papaya leaves are packed with enzymes that normalize platelet count, improve clotting factor, improves liver function thereby helping the person to recover. This fruit once enjoyed as an expensive and exotic smoothic or juice is supposed to help for dengue fever. Nausea, vomiting at close of chill. Periodical Headache and vomiting, chill 7-9 am, fever 3rd -4th day. Craving for cold drinks, acid drinks, ice creams. Periodicity and suceptibility to Dampness with coldness present in every synptom. Throbbing pains in the long bones, feels cold to the very bones. Wakes up at night with hands twice their natural size. All complaints better by Smoking. Haemorrhages Capillary which causes Undue weakness. Headache esp left temple feels as if bolt were pushed inside. Eyes feels sore, blood shot eyes, better by pressure on eyes. 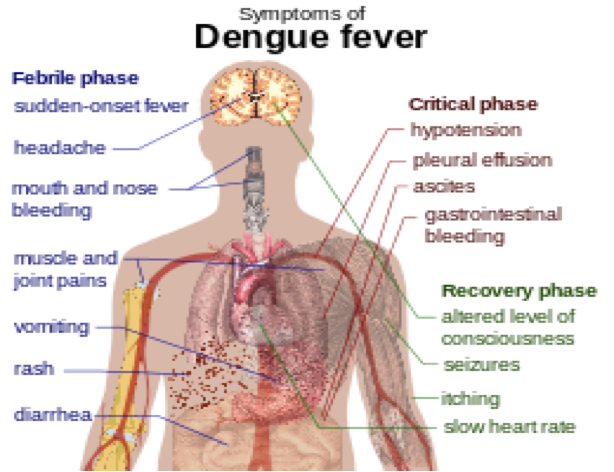 Hastens Absorption of haemorrhage inside the body. Forgetful , but egoistic remedy wants the respect to be shown.